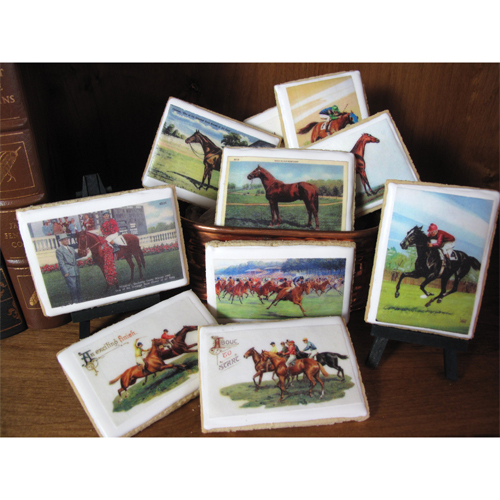 Create memorable Derby Day cookies with this gorgeous collection of vintage horse print wafer paper. This set includes 22 assorted vintage equestrian prints including postcard reproductions of past Derby winners Man O' War and Citation. 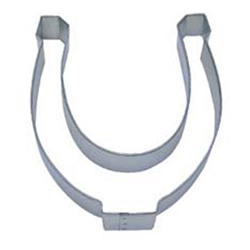 Each image is approximately 3.75" X 2 3/8". 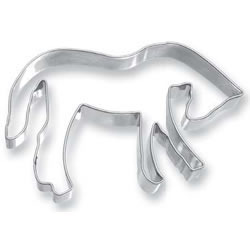 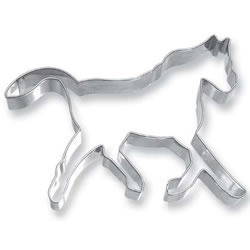 These images are sized to fit on cookies made with our 3" X 4" rectangle cookie cutter, SKU 4200CGREC3X4.